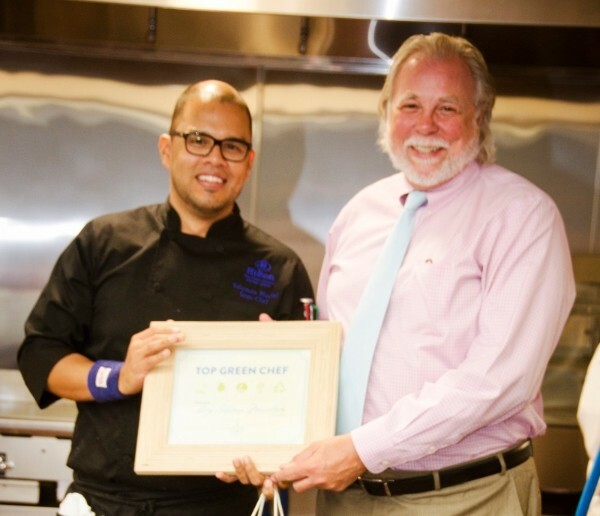 Salomon Maciel, Sous Chef at Hilton Harbor Island, took home the title of Top Green Chef 2014 on Sept. 30, 2014, following a timed competition among some of the best chefs in San Diego. Three chefs from the Port of San Diego's Green Business Network member restaurants competed using local, sustainable ingredients to prepare two dishes for a panel of VIP judges from Port businesses and leadership. The winning dish was selected based on taste, presentation and creativity. "The Port's Green Business Network promotes sustainable business practices, and the Top Green Chef competition has become one of its most popular annual events," said Port Chairman Bob Nelson. "This cooking competition brings out the creativity of our region's best chefs while demonstrating energy-efficient cooking methods and fresh, healthy ingredients including seafood from the Tuna Harbor Dockside Market." The competition took place in the San Diego Gas & Electric (SDG&E) Energy Innovation Center's state-of-the-art, test kitchen to showcase energy-efficient commercial cooking equipment. Located at 4760 Clairemont Mesa Blvd. in San Diego, the kitchen is used by food-service professionals to test and compare more than 40 pieces of energy-efficient natural gas and electric equipment from a variety of manufacturers. "The chefs used energy-efficient convection ovens and fryers which can save up to 30 percent more energy than standard commercial appliances," said Lisa Davidson, SDG&E's director of customer programs. This year, Top Green Chef also helped cook up funds for local organizations. 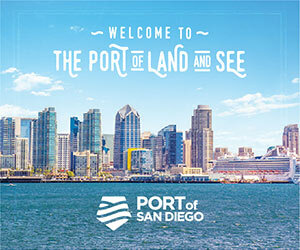 With support from SDG&E, the Port of San Diego Green Business Network used this event as an opportunity to bring awareness and support to local organizations that also work to improve our community. Chef Maciel's win brought Family Health Centers of San Diego a $500 donation; Urban Angels and Olivewood Gardens each received a $250 donation. "Family Health Centers of San Diego was delighted to be selected to participate. We very much appreciate the support we received from SDG&E and the Green Business Network through this event. We would also like to congratulate Chef Maciel, who was chosen to represent Family Health Centers, for his delicious win," said Amber Zent, development manager for Family Health Centers of San Diego. The chefs were required to use a basket of seasonal, local ingredients unveiled moments before the competition. For appetizers, chefs had 20 minutes to work with locally caught rock fish, broccolini, dragon fruit and potatoes; for entrees, they had 20 minutes to use locally-caught albacore, California-grown yellow squash, fresh pasta and buratta cheese. Chef Maciel won based on cumulative scores from both rounds; he created an appetizer of cold seared rock fish salad mixed with broccolini, dragon fruit and potato chips, tossed with a soy-lime vinaigrette. His entrée had strong Asian flavors. The udon-flavored pasta was topped with pan-fried albacore, leaks, oven-roasted squash, and buratta. 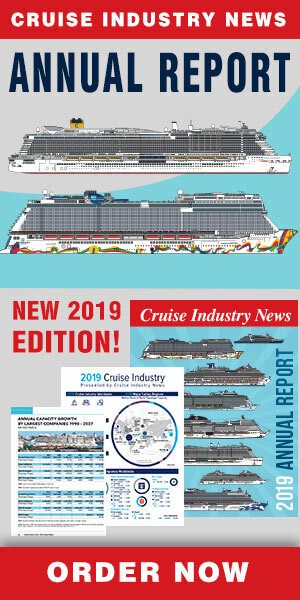 Competitors represented some of San Diego's top waterfront dining establishments, which are also Green Business Network members: Chef Roy Hendrickson, Kona Kai Resort; Chef Ricardo Jarquin, Hilton Bayfront; and Chef Salomon Maciel, Hilton Harbor Island.